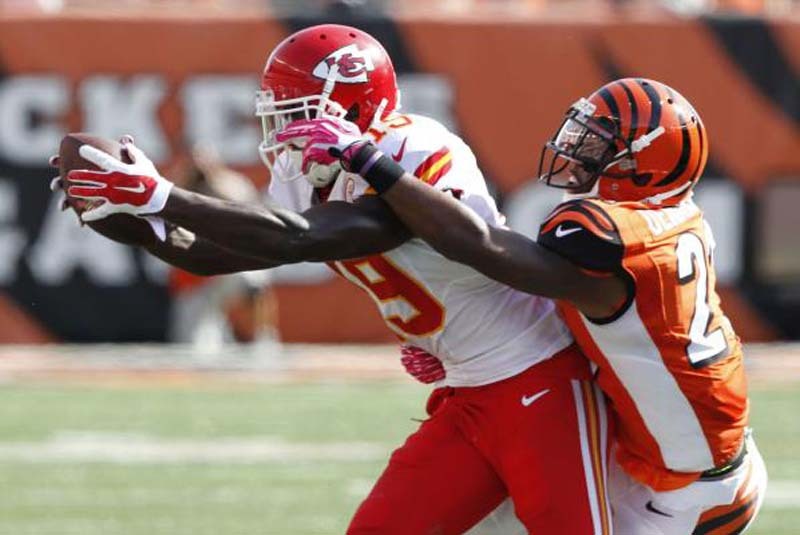 Cincinnati Bengals cornerback Darqueze Dennard is not concerned that he has no contract beyond this season. Dennard, the No. 24 overall pick in the 2014 NFL Draft, was given a fifth-year option for 2018 last year, earning $8.5 million. He played all 16 games in 2017, and had 85 tackles (61 solo), two sacks and two interceptions (one returned for a touchdown). However, he was ranked the No. 93 cornerback among 119 qualifying by Pro Football Focus. Dennard enters the upcoming season with no deal beyond this year. "It's not a thought at all," he told the Cincinnati Enquirer. "I'm just focused on football and trying to be the best Darqueze Dennard I can be, be the best football player I can be and help the team win. I mean, I'm not too much worried about contracts. That will figure itself out." Dennard played 39 games his first three seasons and made just four starts. Despite that, the team gave him the 2018 option. He said he understood why some questioned the Bengals' decision. "I haven't done anything, I've been hurt," he said. His 2017 totals for tackles, interceptions and sacks set career highs. He also played more snaps than any other Bengals cornerback. However, the Bengals signed Dre Kirkpatrick to a long-term contract last year and William Jackson is coming off a solid second season in 2017. That leaves the team with a decision to make about how much they want to invest in Dennard.